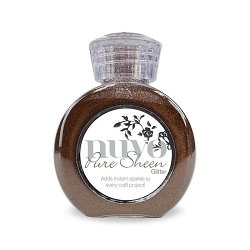 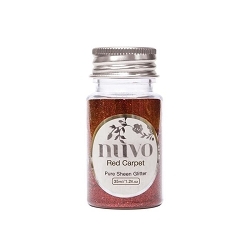 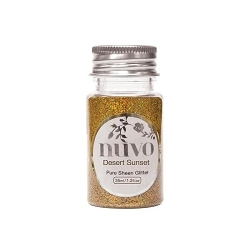 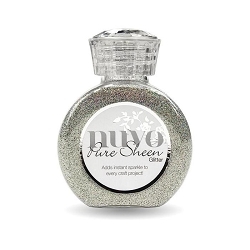 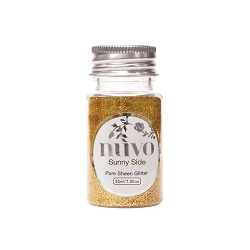 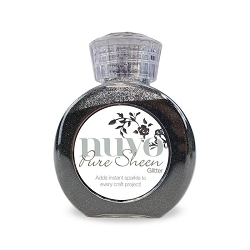 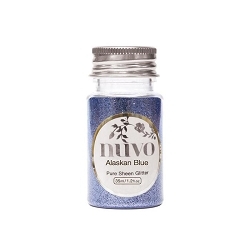 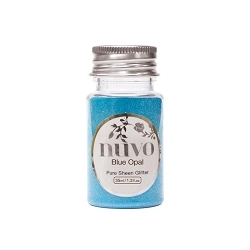 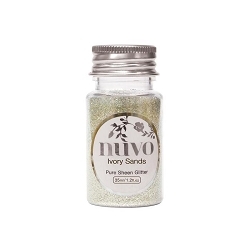 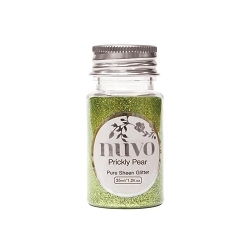 Tonic Studios Nuvo Pure Sheen Glitter is a fine glitter with lots of sparkle. It comes in a wide variety of colors. Simply sprinkle over wet glue and let dry. 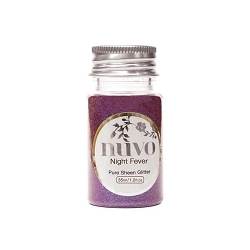 The glitter can also be mixed with paints, glues, pastes and other mediums to add sparkle to your projects.